APPROX 28.17 ACRES VACANT LAND VILLAGE OF FOX CROSSING. PLANNED USE SHOWS INDUSTRIAL. ACCESS TO PROPERTY FROM W. PROSPECT AVE. EXTRAORDINARY OPPORTUNITY TO PURCHASE 25.28 ACRES IN AN INDUSTRIAL AREA IN THE CITY OF NEW RICHMOND! THIS IS A GREAT LOCATION ON NOBLE RD. JUST OFF OF HWY 64. PROPERTY . . . GENEROUS 30.5 +/- ACRE (PER ASSESSOR) PARCEL LOCATED JUST OUTSIDE THE I43 BUSINESS PARK IDEAL FOR INDUSTRIAL/COMMERCIAL BUSINESS. SURROUND YOURSELF IN THE HIGH GROWTH . . .
12 ACRES ON US 41 JUST OFF THE HWY 26 EXIT. PERFECT LOCATION FOR YOUR COMMERCIAL, INDUSTRIAL OR RETAIL OPERATION. GREAT VISIBILITY WITH CITY SEWER AND WATER AT THE ROAD. . . .
PRIME COMMERCIAL LOT W/ EASY ACCESS TO HWY 41! LOCATED APPROX 1/2 MILE NORTH OF HWY 41, THIS PROPERTY HAS BEEN RECENTLY ANNEXED INTO THE VILLAGE OF LITTLE CHUTE AND IS . . .
23.3 ACRES ZONED HI IN THE SOUTHWEST INDUSTRIAL PARK OF OSHKOSH. SHOVEL READY PROPERTY WITH SEWER AND WATER LATERALS INTO THE SITE. ON THE CORNER OF OAKWOOD AND 20TH . . . THIS IS 4.62 ACRES OF PRIME DEVELOPMENT LAND ON THE RAPIDLY GROWING EAST SIDE OF FOND DU LAC. 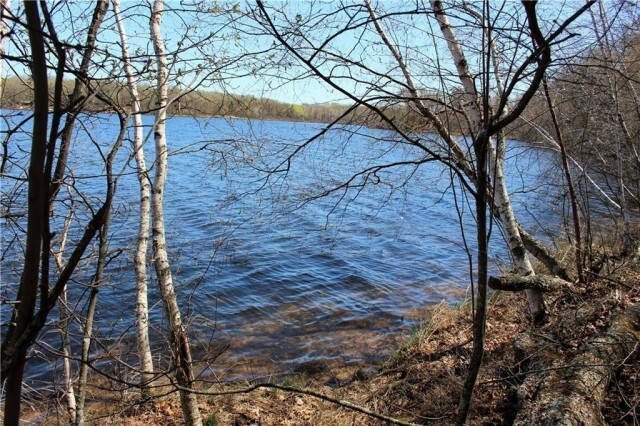 ITS LOCATION OFFERS A 21,000+ TRAFFIC COUNT AND IS JUST EAST OF THE HIGHWAY . . . OWNER FINANCING AVAILABLE. PROPERTY CAN BE ZONED FOR DENSITY HOUSING OR MULTI FAMILY OR LIGHT INDUSTRIAL/COMMERCIAL. PROPERTY HAS BEEN ANNEXED TO THE VILLAGE OF HAMMOND. . . .
SENSATIONAL 11.29 ACRES IN NEW RICHMOND COMMERCIAL INDUSTRIAL DISTRICT. BEING SOLD AS ONE PARCEL. FRONTAGE ON WISCONSIN &AMP; ST. CROIX STREETS. 33.18 ACRES OF VACANT LAND ZONED BUSINESS PARK LOCATED IN THE HEART OF SHAWANO'S GROWING INDUSTRIAL PARK!! IDEALLY LOCATED OFF OF AIRPORT DR. NEAR HWY 29, THIS PIECE OF . . .
PRIME LOCATION IN MODERN AND THRIVING ASHWAUBENON INDUSTRIAL PARK OFFERS CONVENIENT ACCESS AND HIGH VISIBILITY. PROPERTY MAY BE REZONED FOR OTHER COMMERCIAL USES SUCH AS . . .
24 ACRES ZONED INDUSTRIAL IN THE VILLAGE OF BALDWIN. CITY UTILITIES ON LOT LINE. CONVENIENTLY LOCATED 23.46 ACRE PARCEL ON OCONTO'S NW SIDE ADJACENT TO INDUSTRIAL PARK WITH EASY HIGHWAY ACCESS AND AMPLE VISIBILITY. ALREADY ZONED HIGHWAY COMMERCIAL . . . LOCATED IN PACKERLAND INDUSTRIAL PARK - LOT 3 OFFICE WOOD CONDOMINIUM. PRIME BUILDING SITE WITH CONVENIENT LOCATION, GREAT VISIBILITY WITH GOOD VEHICLE COUNTS. SANITARY . . .
ARE YOU A SMALL BUSINESS OWNER LOOKING TO EXPAND? OWN A MACHINE SHOP? WANT TO BE OWNER OF A MINI-STORAGE UNIT BUSINESS? THIS VACANT LAND IS ZONED INDUSTRIAL SO YOU'RE . . .
AMAZING OPPORTUNITY IN A HIGHLY DESIRABLE AREA! 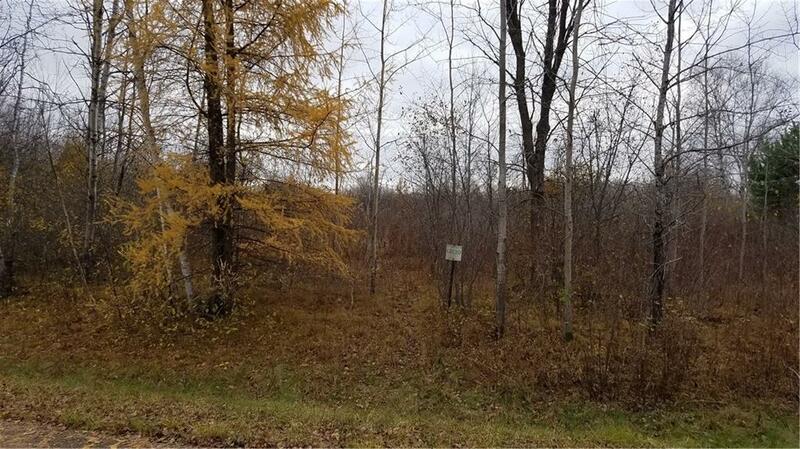 AN INDUSTRIAL ZONED LOT ON HWY 15 IN THE VILLAGE OF HORTONVILLE. SO MANY POSSIBILITIES FOR A BUYER OR INVESTOR. THIS FUTURE COMMERCIAL PROPERTY WITH OVER 100 FEET OF FRONTAGE ON JACKSON STREET IS A GREAT BET ON THE FUTURE. THIS 5 ACRE PARCEL IS JUST SOUTH OF THE OFFICIALLY MAPPED . . .
COMMERCIAL LOT IN CRIVITZ INDUSTRIAL PARK, CURB &AMP; GUTTER IN, BLACKTOP ROAD, MUNICIPAL SEWER &AMP; WATER AT ROAD. 50X100 POLE BUILDING ON CONCRETE. 200AMP, 3 PHASE . 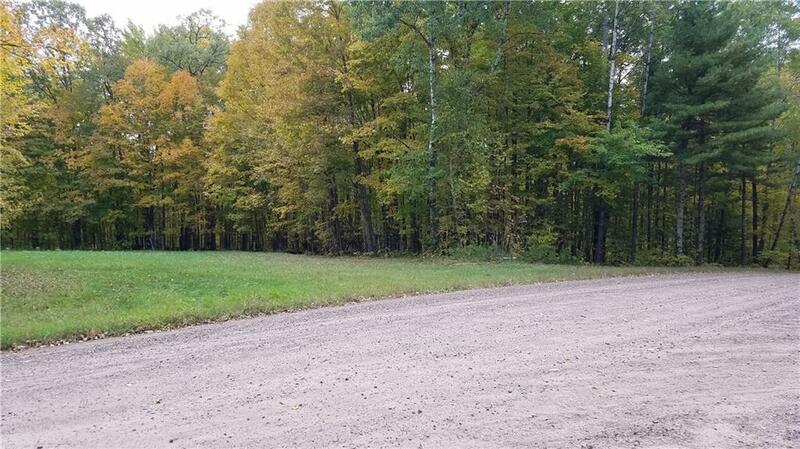 . .
4 ACRE PARCEL OF LAND CONVENIENTLY LOCATED BETWEEN GREEN BAY AND FOX VALLEY. CLOSE ACCESS TO HWY 41. MANY POSSIBLE USES INCLUDING RESIDENTIAL, BUSINESS, LIGHT . . .
3.58 ACRE COMMERCIAL LOT. EXCELLENT OPPORTUNITY TO START YOUR NEW BUSINESS FROM THE GROUND UP OR EXPAND YOUR EXISTING ONE IN A NEW LOCATION. LOCATED IN THE TOWER EAST . . . LOCATED IN A GROWING NEIGHBORHOOD! MANY DIFFERENT POTENTIAL USES INCLUDE LIGHT INDUSTRIAL, OFFICE, RETAIL, MULTI-FAMILY. JUST MINUTES FROM HWY 41 AND THE AIRPORT. .96 . . .
INDUSTRIAL LOT VILLAGE OF HOWARD. .78 ACRE. NICE PRIVATE AREA WITH FIELDS AROUND THIS 5.27 ACRE PROPERTY. THIS NO ZONING PROPERTY IS CURRENTLY USED AS A SALVAGE YARD, SO INDUSTRIAL AND COMMERCIAL USES ARE . . . LOCATE YOUR BUSINESS HERE AND BE SURROUNDED BY SUCCESS! PRIME CORNER LOT IN RAASCH INDUSTRIAL PARK IS READY FOR YOUR BUSINESS. THIS 2.43-ACRE LOT IS LEVEL, CLEARED, AND . . .
AMERY CITY INDUSTRIAL LOT 3.48 ACRES. INDUSTRIAL LOTS FOR SALE. TOTAL OF 4.1 ACRES ON 2 LOTS. ROAD FRONTAGE ON US HWY 10 AND HUNT LANE OFFER EXCELLENT VISIBILITY AND ACCESS. LEVEL LOTS MAKE FOR EASY . . .
COMMERCIAL LOT IN CRIVITZ INDUSTRIAL PARK, CURB &AMP; GUTTER IN, BLACKTOP ROAD, MUNICIPAL SEWER &AMP; WATER AT ROAD. 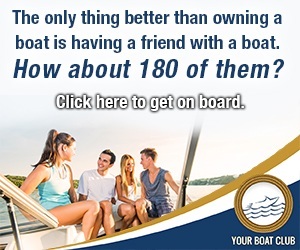 BUILD YOUR BUSINESS HERE! OFFICE AND INDUSTRIAL SITES: WOODED, PARK LIKE SETTING; LOTS ARE FULLY IMPROVED, CONVENIENT TO HWY 29/47 WITH EASY ACCESS TO GREEN BAY, APPLETON AND WAUSAU. PRICE IS . 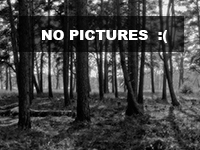 . .
GREAT BUILDING SITE - NICELY WOODED SITE OF OVER 1 ACRE AND LOCATED NEAR TOWN, IN THE TOWN OF RICHMOND. PER ASSESSOR, ZONING MAP SHOWS INDUSTRIAL BUT HAS BEEN USED AS . . .
Wisconsin is a gorgeous states with millions of acres of forested land, lakes and rolling green dairy pastures. Thriving cities such as Milwaukee, Madison, Green Bay, Kenosha, Racine and Appleton provide terrific cultural opportunities. The locals here are welcoming with a Midwestern spirit of hospitality. While the climate can be cold in the winter; overall, it is fairly temperate with distinct seasons. Real estate is generally affordable, particularly when compared with the real estate markets of the eastern and western seaboards of the United States. These features make Wisconsin an excellent place to live and therefore a great spot for businesses to invest. If your business is looking to establish new industrial operations, Wisconsin can be an ideal spot for both your employees and your business. In Wisconsin, industrial activity is generally concentrated in the southeastern part of the state, near Milwaukee. This region is also very accessibility to and from the awe-inspiring metropolis that is known as Chicagoland. In fact, Chicago, Illinois is only approximately a two hour drive from Milwaukee, making this a great spot for accessing large consumer markets. Milwaukee has traditionally been known as a hub of the brewery industry with Miller and Pabst establishing large scale operations there. The lumber and paper industry is a staple of Wisconsin industry. Large players in lumber and paper industries include Consolidated Paper and Fort Howard Paper. Firms such as Oscar Mayer, a subsidiary of General Foods, are also located in Wisconsin. Wisconsin is a giant in industry and commercial production, making it an ideal spot to build your business. If you are convinced that looking at industrial property in Wisconsin is the way to go, you must first enlist the assistance of a qualified real estate broker familiar with the particulars of industrial land sales and purchases. Touch base with the agents at Landbin.com to find a professional agent familiar with the area where you are looking to purchase. The first criteria you must look at for any land intended for industrial use is whether the property has been properly zoned. Zoning is a classification placed upon property by city, county or local municipal governments that dictates what the land can be used for. Depending on the municipality you are dealing with, property can be zoned, residential, commercial, and agricultural. Generally, an apartment building for residential living will not be permitted in an area zoned for commercial development while a factory will not be permitted in the middle of an agricultural zone. While some municipalities include industrial land in the category of commercial land, others have a separate and independent classification for industrial land, so it will be important to know what classifications your locale is using. Zoning regulations can be difficult to change, so finding land that is already appropriately zoned may save you significant hassles in the long run. If you aren't so lucky to find property that has already been correctly zoned, it is possible to petition the city or municipality with which you are dealing to change the zoning classification for a particular parcel of land. Individual parcels can sometimes obtain re-zoning permission. Generally, the Planning or Zoning Board you file the petition with will hold a public hearing on the matter of re-zoning the property. Such a hearing allows local citizens to come forward and voice any concerns with the re-zoning, as it may impact the use of their land. If you are interested in the process of re-zoning Wisconsin land, be sure to check with local legal and real estate professionals for the process you will need to go through to get this accomplished in your area. Generally, if you are seeking to rezone a property for industrial use, it can be helpful to find other properties that have similarly transitioned in the vicinity to the property you are looking to change. Keep in mind that wherever you are, the desires of the neighbors to the property will be an important persuasive factor to the local zoning board, so try to get the neighborhood on board with your proposal before taking it before the zoning board. Also, keep in mind that the zoning board will want to see what your specific plans for the land are before re-zoning the property, so have an engineer and/or architect involved with details of your proposal will likely be critical in getting the parcel re-zoned. Re-zoning isn't the only issue you will need to consider. Take a look at the buildings already on your identified parcel of land. Consider whether you will be able to make use of these buildings and consider their condition. If the buildings are in poor shape, there may be numerous costly repairs necessary to bring them up to code. A building inspector can help you identify hidden defects that have the potential to cost your money in the future. If you are planning to build on the industrial property, make sure you have a clear idea of how much it might cost to develop the property. Development costs are frequently underestimated, which can destroy perfectly good projects when budgets fail. Talk with the neighbors to the property to make sure that your intended use of the property will not be negatively impacted by the activities of your neighbors. Taxes must be budgeted as well. Certain uses for parcels of property may make it eligible for tax incentives; furthermore, industrial land may help provide some tax relief if you are able to claim depreciation. Be sure to check with your tax professional about these and other issues. Make sure you have all your ducks in a row when it comes to obtaining financing for your project. Banks will require a proven track record of success and stable assets before they are likely to extend credit to businesses for the purchase of industrial land in this day in age. Banks will also want to see comprehensive business plans to provide them with reassurance that your business will succeed going forward. Get surveys and appraisals to ensure that you know exactly what you are buying and how much it is worth. 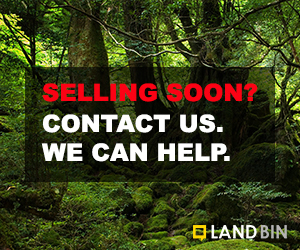 Once you have your parcel of land zoned correctly, or contingencies put in place in order to address what will happen if your efforts to re-zone fail, you are ready to move forward with other considerations. Make sure that your attorney has thoroughly reviewed all documents and contracts before moving ahead with a purchase of industrial land. This article is by no means a substitute for trusted advice from professionals familiar with the market, so make sure you do your homework before making any purchases of industrial land. Industrial land is booming in Wisconsin, so it is important to do your homework and act quickly. Wisconsin is a terrific place to live, play and work, making it a very attractive destination for industry and businesses. 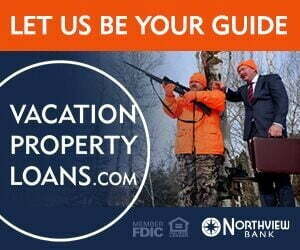 Come see all that Wisconsin has to offer the growing business!